Nest Labs was a portfolio company of Kleiner Perkins Caufield & Byers before it was purchased by Google in December of 2013. The deal was a key talking point for both sides in the recent gender discrimination trial that pitted the VC firm against former Junior Partner, Ellen Pao. But, do we yet understand what that deal says about how KPCB conducts business, or about why Silicon Valley is seeming more like a dystopia than a meritocracy these days? The history of the Roman Gladiator underlies the best selling young adult books and now top-grossing movies,The Hunger Games. Stories like the third in the trilogy, Mockingjay, remind us that when social mores don’t hold us back, people enjoy a good fight to the death. I like to think that society has evolved since Roman times. But, that hope gets dashed by the dystopian side of Venture Capitalitist-led Silicon Valley. The culture here has us rooting for young start-ups, until we start jeering. Those that take VC money may seem blessed by good fortune when they are bequeathed stratospheric valuations. But, having your name called like this can mean just the opposite. It’s Spring 2015, and we know so much more about the late-2013 purchase of Nest Labs by Google. None of it ‘makes clear’ anything about the potential long-term success of VC-funded Silicon-Valley-style start-ups in the world of control automation – home or commercial. I don’t fault the writer. Echoing VC ‘thought leadership’ is what pays the bills for such media sites. A different sort of clarity about the acquisition emerged during the gender discrimination trial last month that pitted VC-firm and early Nest investor Kleiner Perkins Caufield & Byers (KPCB) against former junior partner, Ellen Pao. The court case (which Pao lost) spent a lot of time trying to explain VC ‘though leadership’ and to qualify who does the work and what work is entailed in putting together a deal like Google buying Nest. From the mouth of the KPCB General Partner that took the credit for the Nest deal, Randy Komisar: “These big numbers almost don’t matter.” You can read Randy’s full quote in context in this recent Bloomberg Business article: The Fuzzy, Insane Math That’s Creating So Many Billion-Dollar Tech Companies. The reporters ‘make clear’ that investment firms like KPCB are pushing start-ups into mega-valuations because they can realize higher profits when they sell. And selling companies ‘like Nest’ (see quote from KPCB’s John Doerr below to understand what ‘like Nest’ means) has not been that hard in the last few years. There are a lot of dollars sloshing around in the public stock markets pushing tech stocks like Google, Facebook and Amazon to precarious heights. And this froth spills over into private market deals like Google buying Nest Labs. The only thing about that number that does matter – that is real – is that it’s a percentage of that figure that went into KPCBs profit column in 2013. The difference between the $3.2B and any honest valuation of a smart thermostat company at the end of 2013 falls into the category of Investor storytime that even I wrote about in covering why Google bought Nest 16 months ago. So with the $3.2B deal, a big outflow of Google cash and stock went to KPCB and other investors, and the start-up’s founders got a payout and lots of Google stock too. Does that strengthen the company going forward? Ensure its success within the purchasing company? A high valuation from a renown VC firm before a big Merger & Acquistion (M&A) event like this is an advantage in recruitment and building credibility with first customers. But, after the fact, the cycle of good fortune can flip into reverse. The excitement and lure of a big pending financial boon is no longer there, and the sense of purpose and mission can be removed with new ownership too. What’s left is a high-pressure crucible with the mandate to quickly scale up into the multi-billion-dollar business that’s been somewhat falsely priced into expectations. Other 2015 news stories about Nest tell of employees asked to work nights and week-ends, founding leaders jumping ship, and product quality suffering. In this chart of the home automation market just released by Greentech Media, Nest is there among many other thermostat and data platform companies. Research firm Berg Insights reports that the market for smart home thermostats is growing, but not meteorically. The whole market is expected to reach only $2.3B by 2023, and Nest is only one of three leaders in the North American market, while other geographies have other leaders. Google’s Thread protocol, an effort aimed at helping Nest scale, is challenging Zigbee and Z-Wave, but also is no shoo-in for dominant success. (Memoori Research provides an insightful overview of all the protocols now being proposed for Buildings Internet of Things in this webcast.) The Google Glass development effort has been moved into Nest, which distracts from focus –especially since first use cases for Augmented Reality glasses are not about home automation, but rather commercial & industrial applications. 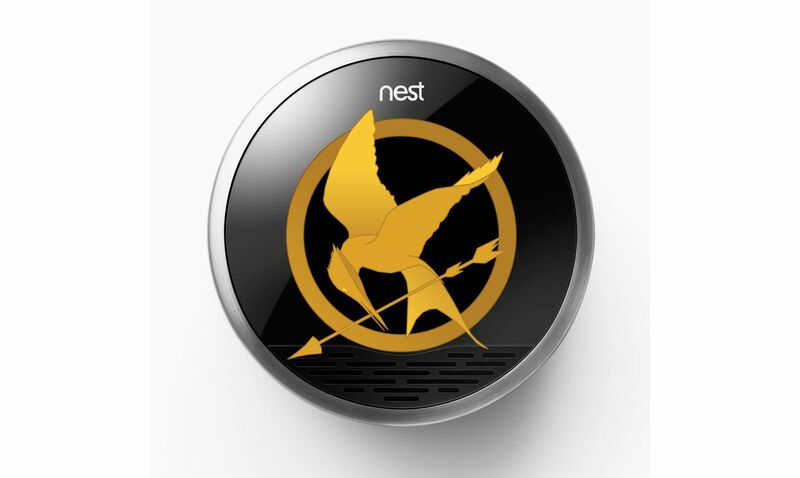 Nest is a well-designed smart thermostat, and I like its advertising campaigns. The company has brought new excitement to the home automation market. I want it to succeed. I imagine that working for Nest pre-Google buyout brought the additional thrill of ‘Doing Well $, while Doing Good’ because energy efficiency is core to reducing dependence on burning fossil fuels, and all the bad that comes with that. But, I look at the $3.2B valuation and wonder if that wasn’t the start of The Hunger Games inside the company. The deal was brought up many times in the course of the Ellen Pao trial—a trial that became something of a public hearing on the lack of diversity in the tech industry. While the trial wasn’t the forum to ask what happens to portfolio companies after such hugely lucrative transactions for the VC, I think the evidence would point to how companies like Google and Nest start to exhibit corporate cultures like Kleiner-Perkins’ where life-balance is sacrificed, collaboration and quality of work take a back seat to politics and loyalties, and the biggest egos rule supreme. It doesn’t help that VC firms have a strong bias toward funding “white male nerds who dropped out of Harvard and Stanford and absolutely have no social life,” according to KPCB’s John Doerr. But, I believe the reason that few women continue Silicon-Valley-style tech careers after they have children is much simpler than Ellen Pao’s story. When you understand the risk/rewards, there are few volunteers for The Hunger Games. And, it’s not just women who are Moms that drop out when the culture gets toxic and when power and greed trump purpose. It’s Dad’s that want to support their working wives and nurture relationships with their young children. It’s anyone that wants to devote a certain amount of their life to pursuits beyond their corporate job. Or anyone that wants to find a job in a field or at a company that provides purpose again. And, it’s anyone old enough to recognize that life is too short for the skirt-chasing (which is just another form of power-seeking), one-up-ing and back-stabbing revealed to be quotidian at Kleiner-Perkins. But, no one is suing KPCB for that. So back to that Jabberjay article in Techcunch. It’s about a new start-up, BuildScience out of the University of Waterloo. On its homepage BuildScience boasts deployment in one building in Canada and offers a table stating its product is the only platform on the market with Fully-Integrated Monitoring: Instant Data Access; Customized Trending & Reporting; Custom Software Development; and Mobile Readiness. All I can say is that at least, in The Hunger Games fantasy stories, Katniss Everdeen knows there is competition out there. The real estate advisors of Realcomm have been keeping a running tally, and they approximate the field at “120 Solutions and Counting” that match that profile.